Fee: $3 Parking Fee (If parking at the Pali Lookout). Parking is free for Hawaii residents. Parking: Pali Lookout parking lot. What to expect: This hike is both easy and rewarding. The trailhead can be accessed from the right side of the Pali Lookout. The area is closed, so hike at your own risk. These waterfalls are often dry unless it has rained. Start by going to the far right side of the Pali Lookout and continue past the gated/fenced area. This will bring you to the Old Pali Highway, a beautiful, winding stretch of old road overgrown with wildlife. 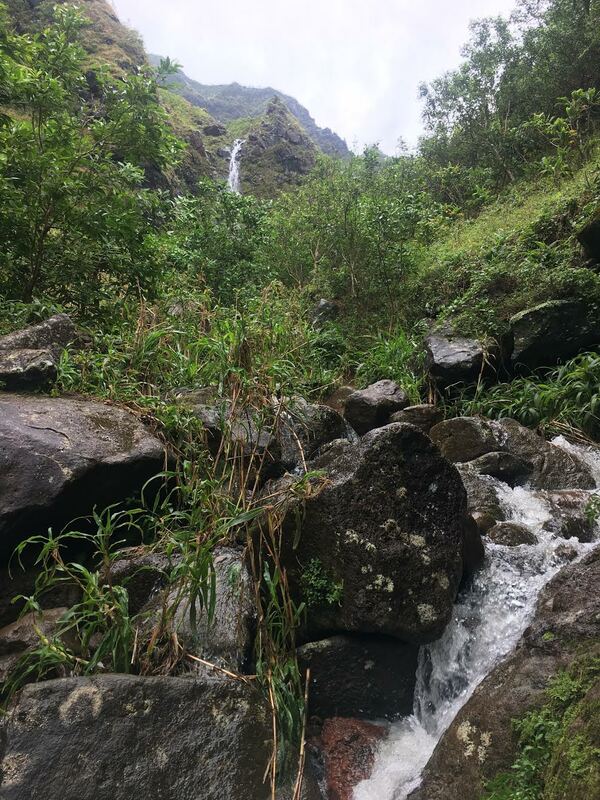 Continue down the road for about 1/4 of a mile and you will reach an area where the Pali Highway is visible (left hand side), and there will be a clearing on your right hand side where you can see the Twin Falls. Head toward the falls by following the stream up into the small valley, the path should be visible and easy to follow. -The Falls will most likely be dry if it has not recently rained.